A Passion for the Possible presents a vision for the future that challenges assumptions and deepens our understanding of the importance of social change. 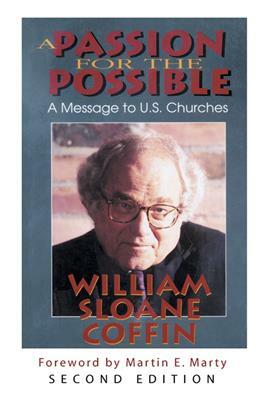 William Sloane Coffin deals with social issues that continue to face U.S. churches--war, the environment, racism, homophobia, abortion, and sexism. This second edition adds Coffin's powerful sermon preached after September 11, 2001 and a foreward by Martin Marty.